If you have stubborn post acne marks, do yourself a favor and go out and buy a bottle of Bio Oil. You can get it right at your local Walmart. I must warn you that it is a bit pricey though. A small bottle will run you at $11 and a big bottle will cost $20. Honestly, I don’t really think you would even need the bigger bottle, maybe unless you have a lot of dark marks. That reason is because it says right on the bottle to use the oil for at least three months, twice a day. You only need it use for a few months and don’t have to buy any more until another big zit comes up. The oil also goes a long way. It spreads really well! I haven’t used all mine yet, but if it doesn’t make it the full three months, I would guess it probably wouldn’t run out until month three hits. My fiance and I noticed a huge difference on day three! My dark marks are almost non-existent! It works way better than lemon juice. In fact, I have removed lemon juice from my beauty routine entirely. I only use it to enhance my drinking water. Bio oil is that good! And the smell! Think baby oil, but more amazing! I wouldn’t advise using it while you have acne on your face though. I don’t know if it might stop your acne fighters from working. I actually had to stop for a while because I went visit my parents and they have a lot of sulfur in their water. When I wash with it, it makes my skin red and causes breakouts. I came back to my fiance with a large cystic zit. But I will definitely be putting it back on my face once it heals! 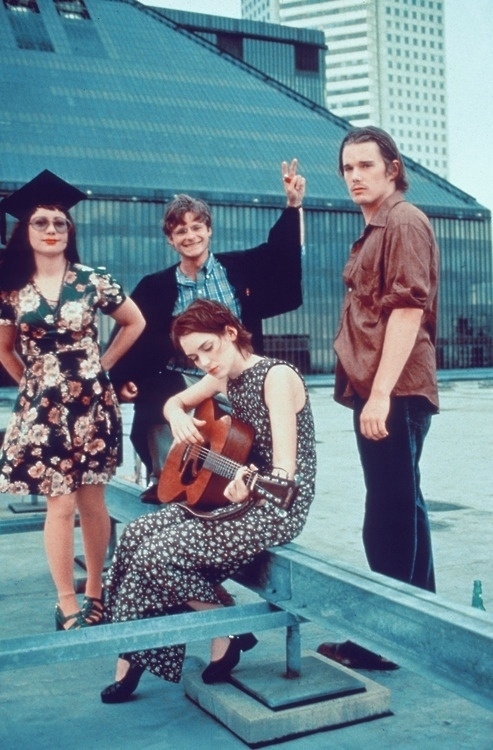 I’m sure you guys have noticed from my blog that I absolutely love the 90s decade and in particular the grunge and alternative scene. Well, I finally got my hands on something razor to go with my babydoll dresses and band shirts. But I’ll save that for the end of this entry. I told you guys that the lady from FacenEarth was sending me a couple of free sample face scrubs. Well, that’s what I thought. But I actually got a whole box full of samples! Thank you! I gave a few to family, but I tried out the Grapefruit cleanser and it smells great! Unfortunately, it doesn’t keep my rosacea at bay like my normal cleanser does. I also tried out the rosehip moisturizer and my skin was absolutely glowing! So, this moisturizer may be a contender! I’ll see how it goes. I thought the smell was a little too strong, but my fiance loved it so much that he took a big wiff of my face. Which was weird. 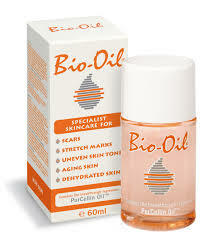 Today, I went shopping and I bought the bio oil, so that review will be coming soon. I also bought a new bookshelf for my books. I also stocked up on fruits and healthy snacks, as I am trying to drop the weight. It’s hard to do that when my in-laws love their sugary snacks. So, I decided to combat the temptation with snacks of my own. I’ve already kicked soda out and I drink water with the occasional bit of lemon juice. I know some of you have been looking forward to the rosewater toner review. It will take a bit longer because a sample toner was in the box and I am trying to use it up. But it won’t take long. And…as I am listening to 90s alternative on Pandora, I’ll show you guys what I got. 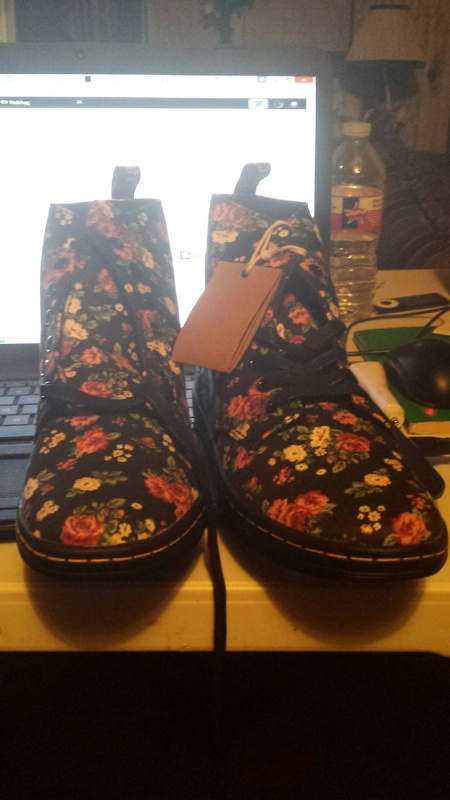 Doc Martens usually run for $200 these days, but Journeys was having a sale and I got them for $50. These will be perfect for all my clothes and the fiance and I are discussing a possible grunge wedding theme. My grandma will love that. HA! I’m sorry the quality isn’t so good. I’ll take some more pictures soon. I finally got around to using the last bit of a moisturizer I wasn’t too fond of and started using the moisturizer that came with the African Black Soap Kit. The results were kind of mixed. 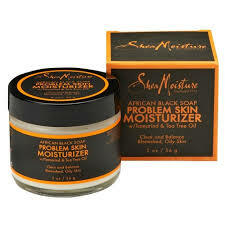 What I Liked: This moisturizer uses the same ingredients that are in the African Black Soap toner. I really liked that toner and the only reason I decided to switch to a rosewater based one is because I heard it could brighten up skin tone and help with post acne marks. The ingredients include tamarind and tea tree oil. I didn’t know what a tamarind was, so I looked it up. Turns out that it is a tree that grows a date-like fruit. The moisturizer does not feel light and feels a little heavier than most moisturizers advertise. Most might not find this endearing, but I found that the more a moisturizer is advertised as “light,” the greasier it is. Which is funny because light is also advertised with non-greasy. It also gave my face a nice, bright dewy look. The moisturizer also comes in a very nice sized pot. What I Didn’t Like: Pew! This stuff stinks! It smells exactly like the facial scrub I told you guys I hated. Conclusion: Honestly, if I don’t like the white tea moisturizer I bought, I could see myself keeping this one around. It has more pros than cons and the smell fades throughout the day. When I finally got this brush in the mail last week, I think I was most surprised by how small it was. Many users actually said that it was really small in the reviews, but I didn’t expect to fit in the palm of my hand! Of course, the size of the brush has both pros and cons. The pros is that this brush is great for traveling and it doesn’t take much to wash it out. However, it can be somewhat frustrating to use because of its size. I find myself dropping it a lot, but I have a serious case of the butterfingers. Another thing I liked about the brush is that it comes with a lid. When you are not using it, you don’t have to worry about it getting dusty or dirty from your counter or where ever else you would keep it. But of course, the most important question is how does it perform? I use mine every night before bed. I think you should probably use it once a day because too much friction could lead to irritated skin. That’s another reason why I chose a manual brush over one of the more fancy spinning ones. I think it’s more cost effective and better for your skin. Every morning I wake up with brighter, softer skin, so I definitely think it was worth it. The only thing I am worried about is that some of the bristles tend to stick out, so I’m wondering if I’ll have to buy one once a year or something. It’s only three dollars though, not bad at all. 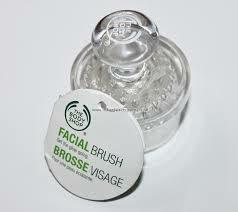 If you don’t want to spend the money on an expensive facial brush, I would suggest this brush! What’s next on my natural skin care adventure: I’m almost out of the moisturizer I’m trying to use up. Then once that is gone, I’ll have two to test out to finally find out I like enough to stick with. My rosewater toner also came in, so once I use all of the African Black Soap toner, I can try it. I’ve also been using lemon juice to get rid of dark marks, but I’ve heard good things about bio oil. I would like to do an entry comparing the two. Also, the lady that makes my homemade cleanser was so happy about my review of it that she has decided to send me some free samples of facial scrubs!